The Phylloxera and Grape Industry Board of South Australia (PGIBSA) is a statutory body established under the Phylloxera and Grape Industry Act (1995) Division 3 Section 13 (1)(a)(i) and (ii) that is empowered by the SA Parliament to assess risk, develop strategic policy, assist in biosecurity research as well as maintain biosecurity awareness to mitigate the risk of Phylloxera and other pests and diseases entering and establishing in South Australia. An important aspect of the awareness program is for all industry stakeholders (e.g. growers and contract providers) to know if their vineyard is in a Phylloxera Exclusion Zone (PEZ), Phylloxera Risk Zone (PRZ) or a Phylloxera Infested Zone (PIZ) and what regulations are in place whenever moving plant material, machinery or people in and out of the zones (Phylloxera Management Zones for Australia). This Risk Assessment Tool has been developed through the adoption of a best practice risk management process consistent with the approach described in AS/NZS ISO 31000-2009. 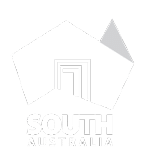 It is the primary objective of the PGIBSA to ensure that South Australia retains the highest level of protection against a Phylloxera infestation and strongly believes that the risk assessment process has enhanced our level of confidence as to what poses the greatest risk of a potential Phylloxera incursion. Moreover, it has assisted in identifying areas that the PGIBSA needs to focus on to ensure the State’s level of protection is maintained into the future. The Board has undertaken a risk assessment process using the principles of the international standard AS/NZS ISO 31000-2009 Risk Management Tool. Evaluating the likelihood of Phylloxera establishing and/or spreading for each of the risks. Evaluating the consequence of each of the risks on the assumption Phylloxera establishes in South Australia. Determining the level of each ‘untreated’ risk, based on the combined likelihood and consequence rating. Re-evaluating the likelihood of Phylloxera establishing and/or spreading for each of the risks after treatments have been applied. Re-evaluating the consequences of each of the risks on the assumption Phylloxera establishing in new locations after treatments have been applied. Determining the quantum of each risk after the current treatments are taken into account, based on the revised likelihood and consequence rating. Identifying additional treatments (risk management practices) for risks with a medium to very-high risk rating. Identifying the risks that may require further action i.e. the risks with an unacceptable rating after all practical ‘treatments’ are in place. Identifying what, if any, further actions are to be considered. Treatments of ‘risk management strategies’ include regulatory requirements which are based on practices outlined in the National Phylloxera Management Protocol and also standard industry practices that manage the risk of the movement of Phylloxera. Zones e.g. PEZ (Phylloxera Exclusion Zones), PRZ (Phylloxera Risk Zones), PIZ (Phylloxera Infested Zones) with regulations related to their risks. Evidence based treatments such as heat sheds, hot water bin dipping and heat treatment of vine cuttings. Applying on-farm biosecurity practices, e.g. footbaths, movement restrictions, vineyard sign-in procedures, designated vehicle parking from vineyards, record keeping of planting material, use of accredited nurseries and ensuring knowledge as to where contractors and industry personnel have previously been. Implementation of Plant Quarantine Standards (PQS) and Interstate Cerification Assurance (ICA) operational procedures by Biosecurity SA. Awareness Programs by PGIBSA: Regional Outbreak Simulations, Phylloxera protocols and checklists. In Biosecurity, an incident report or an accident report is a record of details of an unusual event that occurs when regulations are breached or due to inappropriate human behaviour that may result in an infestation of a pest or disease establishing. The purpose of the incident report is to document the exact details of the occurrence while they are fresh in the minds of those who witnessed the event. This information may be useful in the future when dealing with liability issues stemming from the incident. Generally, the report must be filled out as soon as possible following the incident (but after the situation has been stabilized). This way, the details written in the report are as accurate as possible. Most incident reports that are written involve accidents with machinery, people and grapes due to either ignorance, illegal behaviour or disregard for regulation. To report an incident, please contact the Board on 08 8273 0550 to obtain an Incident Report form for completion or via the link below. Determine your risk using the interactive Risk Assessment Tool below – please select options from the dropdown menus to select your risk.